Last night on ShowTime Championship boxing, we had a double header from Montreal Quebec Canada where Eleider Alvarez (23-0, 11 KO’s) defeated Jean Pascal (31-5-1, 18 KO’s) to remain the number 1 contender for the WBC Light Heavyweight title. 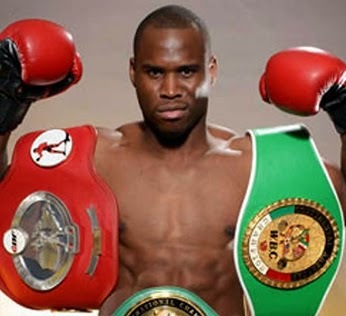 Adonis Stevenson (29-1, 24 KO’s) was also victorious against Andrzej Fonfara (29-5, 17 KO’s) to retain his WBC Light Heavyweight title. Stevenson has been super inactive the last 3 years since his first fight with Fonfara, but looked like he hasn’t skipped a beat. Adonis put Fonfara down in the first round again, just as in their first fight, and Fonfara would get up and barely escape the round. In the second round, Fonfara took a few more brutal left hands from Adonis, and his trainer Virgil Hunter was forced to stop the fight. Stevenson remains the WBC Light Heavyweight champion. In the co-feature, Eleider Alvarez defeated the gun shy Jean Pascal via a very surprising majority decision, in a fight that Alvarez clearly won. Pascal was very inactive throughout the fight, and then tried to steal rounds in the final seconds. His plan obviously did not work. Alvarez won the fight with his jab, which was by far his best punch. Pascal had a few flurries here and there throughout the fight, but would ultimately come up way short. Alvarez landed 174 of 508 (34%) punches, while Pascal landed 104 of 369 (28%) punches. Judge Rodolfo Ramirez had the fight 117-111, judge Jack Woodburn had the fight 116-112 both in favor of Alvarez. Ironically, the only judge to score the fight a draw was judge Richard Decarufel (114-114), who was the only Canadian judge, where Pascal is a fan favorite. Eleider Alvarez remains undefeated as he escapes Montreal with a majority decision victory. September 11th 2015, live on Spike TV, Premier Boxing Champions presents Adonis Stevenson (26-1, 21 KO’s) VS Tommy Karpency (25-4-1, 14 KO’s). Also in action in a welterweight showdown will be Errol Spence Jr (17-0, 13 KO’s) VS Chris van Heerden (23-1-1, 11 KO’s), and in a heavyweight bout will be Dillon Carmen (8-2, 7 KO’s) VS Donavan Ruddock (23-1-1, 11 KO’s). Stevenson will be defending his WBC and TheRing Light Heavyweight titles. Tavoris Cloud — Win, TKO 7th round (12), 9/28/13. Andrzej Fonfara — Win Unanimous Decision (12), 5/24/14. Since winning the Lineal Light Heavyweight title from Chad Dawson, Stevenson has taken some questionable fights, seemingly avoiding the showdown with Sergey Kovalev. He almost got knocked out by Fonfara, but ended up winning. He easily cruised by Sukhotsky, and Bika, and now takes on another overmatched opponent. Nathan Cleverly — Loss, Unanimous Decision (12), 2/25/12. Andzrej Fonfara — Loss, TKO 7th round (12), 11/16/12. Chad Dawson — Win, Split Decision (10), 10/4/14. Karpency has lost to every big name opponent he has ever faced, except for when he fought Chad Dawson. Dawson was a shell of his former self, and if he actually threw some punches in the last round, he would have gotten the decision. So Karpency’s track record in big fights is not good. He now has the opportunity of a lifetime against Stevenson to win the Lineal and WBC World Light Heavyweight championship. 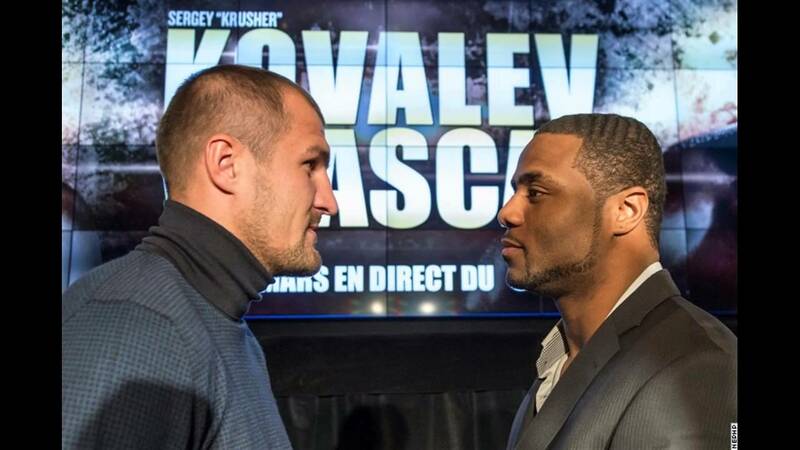 This Saturday, March 14th of 2015, live on HBO at 9:45 ET time, tune in to see Sergey Kovalev put his WBA(super) WBO and IBF Light Heavyweight titles on the line against hungry challenger Jean Pascal. Kovalevs has been on a tear thru the light heavyweight division. That includes the KO of Cedric Agnew, the TKO of Blake Capperello, and the UD total destruction of the legendary Bernanrd Hopkins, one must raise the question. Can anyone beat this man? Sergey Kovalev brings 3 titles to the table along with an undefeated record. He has mowed down everyone that was put in front of him, including a future hall of famer. Everyones though process was that Kovalev is a dangerous knockout artist that disposes of his foes quickly. Against Hopkins he proved that he is also a very skilled boxer that can go the distance, and also possesses a very high ring intelligence. Is another win looming for the “Krusher”? Jean Pascal is a former WBC world champion. He is the current NABF champion (minor title). He’s got the credentials, but does he have the chin to withstand Kovalevs’ power? Pascal was beaten in the rematch against Hopkins. Most people go nowhere quickly after fighting Bernard. He destroys you mentally. Pascal came back from that and eventually got the biggest win of his career against Lucian Bute. He is mentally tough, and he’s got decent power in both hands to go along with boxing skill. He gets the opportunity of a lifetime against Kovalev, with a chance to win not 1, not 2, but 3 championships. That kind of day doesn’t come along very often. Can he do it?